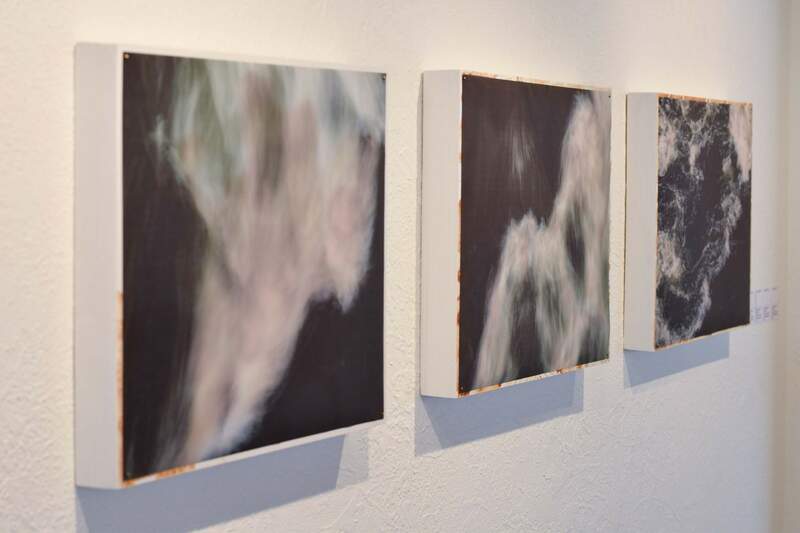 “Rivers,” an exhibit by Peter Hay and Doug Gonzalez, is on display at Studio & Gallery through Saturday. Borders around some of the pieces in Studio & Gallery’s current exhibit “Rivers” were cut out, allowing the silt-paint to bleed out along the edges. When the Animas River turned mustard yellow from the Gold King Mine spill in 2015, artist Peter Hay was there to collect some of the silt in jars. Hay, who is also exhibits director at Durango Arts Center and a co-owner at Studio & Gallery, began experimenting with the silt, creating a type of paint that he used in his show “Shroud” last year at DAC and carrying it over more recently to “Rivers,” a collaboration with fellow artist and DAC Administrative Operations Coordinator Doug Gonzalez. The spill on Aug. 5, 2015, from the mine north of Silverton sent 3 million gallons of wastewater into the Animas River, discoloring the waterway for days. The show, on exhibit at Studio & Gallery through Saturday, features Hay’s silt paintings and Gonzalez’s photographs of the Animas River. 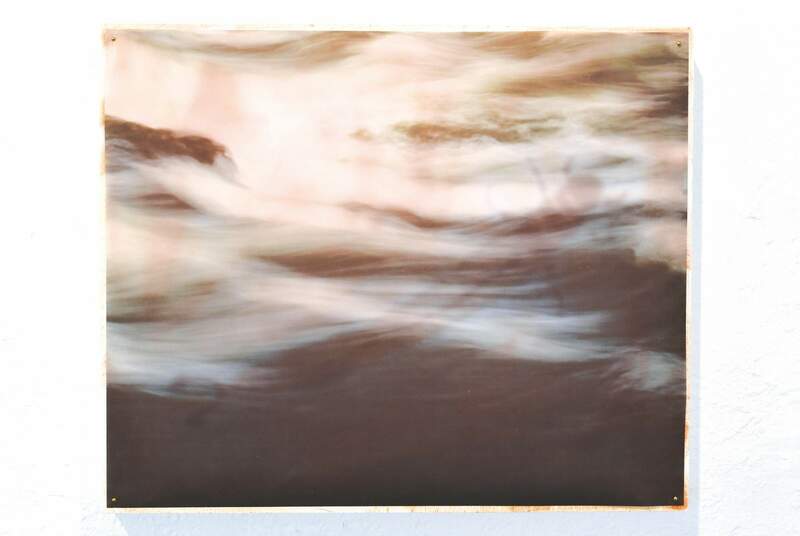 Some of the pieces are by the two individually, but the majority are combined works – Gonzalez has printed his photographs on semi-transparent paper and laid them over Hay’s paintings. The purpose, Gonzalez said, is to explore things we may not see. 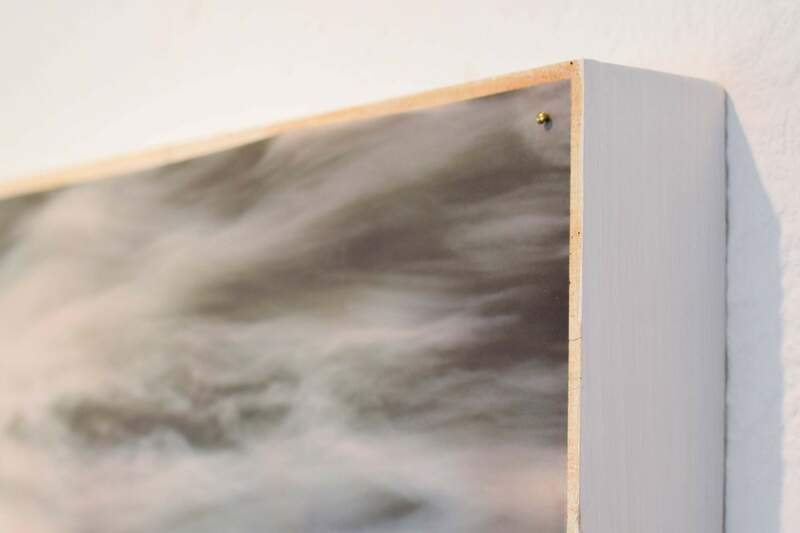 He said that the idea extends past the theoretical and into the realistic: The panels containing the images have a bit of the border cut out, so you can see some of the silt outside the photograph overlay. The two started planning for the “Rivers” exhibit last fall, Gonzalez said, adding that because of the current political climate, environmental issues have come to the forefront, and the two wanted to create a show that spoke to that, something Hay said led to bigger, broader ideas about water, politics and the world outside Durango. For Hay, the coating from the spill was not only intriguing, there was something familiar about it, too. Gonzalez and Hay said they hope their exhibit keeps what happened to the Animas River on Aug. 5, 2015, in people’s minds. Where: Studio & Gallery, 1027 Main Ave. When: Through Saturday. Gallery hours are 10 a.m.-6 p.m. Monday-Friday, 11 a.m.-6 p.m. Saturday and by appointment Sunday.